GOP presidential candidate Gov. 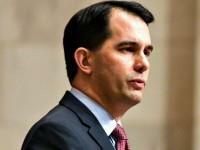 Scott Walker is reportedly canceling an appearance at the California GOP Convention next weekend. 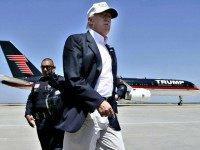 Walker is scheduled to appear at the CNN GOP presidential primary debate in Simi Valley, California on Wednesday. GOP presidential candidate Carly Fiorina has been discussing how the CNN debate rules put her at a disadvantage and could leave her out of the top 10, not making the main debate stage on September 16th at the next GOP presidential primary debate. Dr. Ben Carson’s campaign manager appears to agree with Fiorina on the debate rule predicament. In a public letter, fourteen South Carolina demand CNN president Jeff Zucker include GOP presidential candidate Carly Fiorina in the September 16 debate. After critical reports about GOP presidential candidate Carly Fiorina’s record as CEO at Hewlett Packard (HP) have surfaced, a senior executive—who worked with Fiorina and remained close with her —is speaking out in her defense exclusively to Breitbart News. 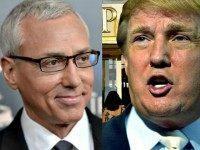 Television and nationally syndicated talk radio host Dr. Drew Pinsky spoke with Breitbart News after the first GOP presidential primary debate, and most of his California callers who joined the show overwhelmingly supported GOP frontrunner Donald Trump. 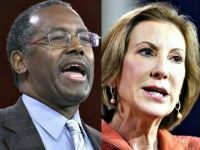 GOP presidential candidate Carly Fiorina joined Breitbart News Sunday on SiruiusXM Patriot Channel 125 Sunday evening and said that she is motivated by the positive reactions to her performance during the first GOP presidential primary debate last Thursday and her bump in a recent poll released by NBC Sunday. 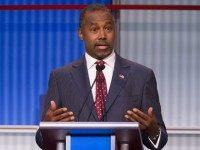 Ben Carson said he wanted a question about immigration at Thursday’s presidential debate moderated by Fox News. 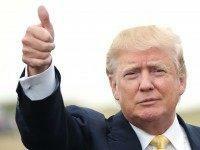 CLEVELAND, Ohio: A Wall Street Journal report suggests that despite critics’ opinions that GOP frontrunner Donald Trump’s poll numbers would fall, two early polls predict that may be wrong. 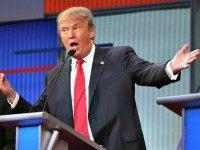 CLEVELAND, Ohio – Fox News’ Megyn Kelly — who has been praised by The New York Times for being a fair and tough journalist — went after GOP frontrunner Donald Trump in the beginning of the primetime GOP presidential primary debate on Thursday. However, when the news anchor questioned the real estate mogul, she legitimized the “war on women” mantra used by the Democratic Party to attack Republicans. 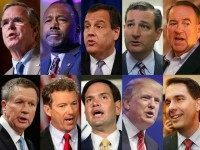 CLEVELAND, Ohio: The first GOP presidential primary debate hosted by Fox News and Facebook takes place on Thursday, but ahead of the debate Facebook broke down the key political and policy issues voters are talking about on the social media website. CLEVELAND, Ohio: Several of the GOP presidential candidates have posted on Facebook a question they would like to hear fellow candidates answer during Thursday’s Fox News debate.